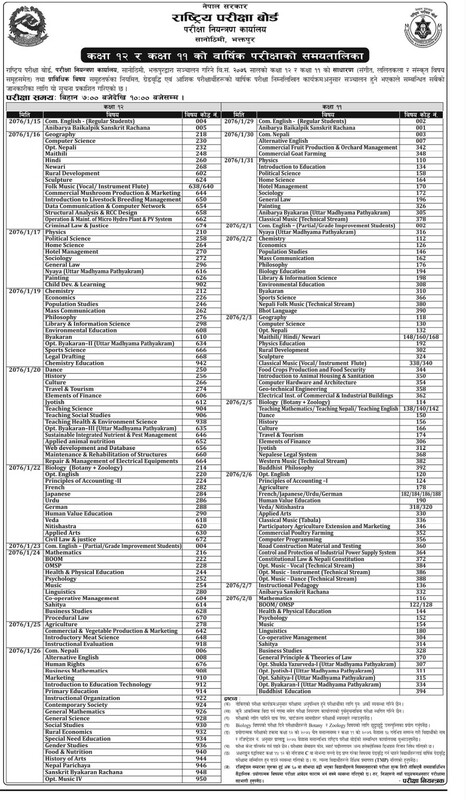 National Examination Board (NEB) Exam Controller Office, Sanothimi, Bhaktapur Published exam exam schedule for the regular and partial examinees of grade 11 and grade 12 for the examination to be held in 2076 BS. The examination of grade 12 (XII) will be held from Baishakh 15 to Baishakh 26, 2076 and grade 11 (XI) examination will be held from Baishakh 29, 2076 to Jestha 08, 2076. Click here to know the exam centers.